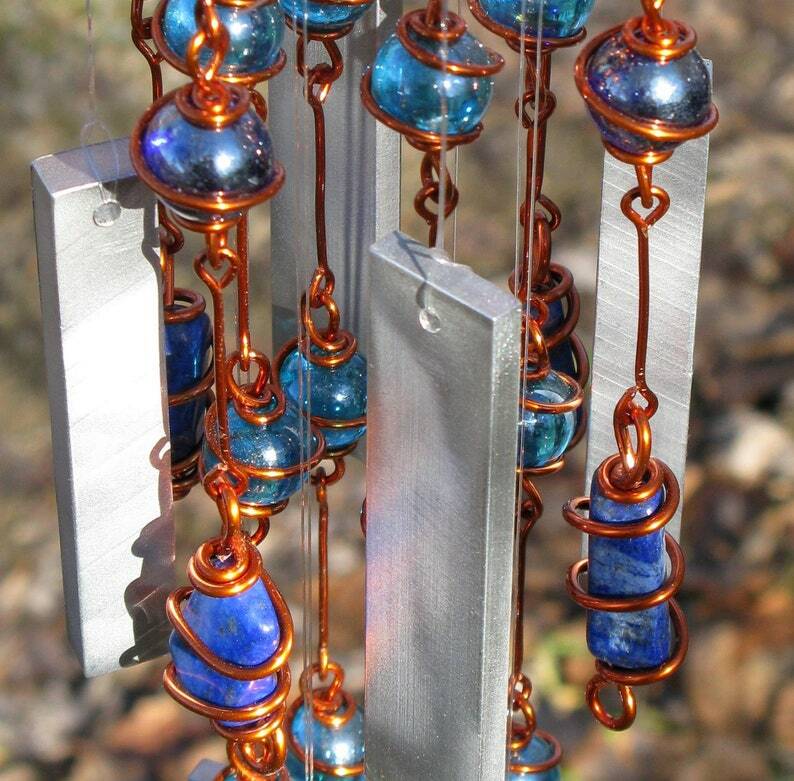 This unique windchime features 72 glass marbles in iridescent dark blue and aqua, each individually hand-wrapped in solid copper wire with an enamel finish (to retard tarnish). It is accented with 8 raw Garnet crystals. Metaphysically, Lapis Lazuli is believed to stimulate wisdom an good judgment. It is thought to be a stone of truth that also brings harmony to relationships. 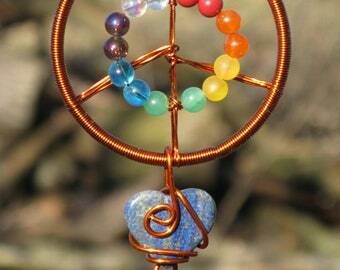 The sizes and shapes of the Lapis crystals will vary from windchime to windchime. Arrived in time for Christmas! Mother loves it. She find it "whimsical and mesmerizing" and so far she likes the sound. Looks lovely too, and quite professional and pricey for such an inexpensive price paid! Cheers.